Lightroom Classic Tutorials > Organizing Photos > Collections > Why use collections to organize photos? In previous posts, we’ve learned how store photos and videos in folders on your hard drive, but now let’s start organizing them into virtual collections based on their content. Collections are designed to group photos and videos for a specific purpose. Unlike folders, a single photo can be in multiple different collections without taking up extra space on your hard drive, and these grouped photos can come from any number of different folders on the hard drive. Collections aren’t limited to containing photos and videos—they store your chosen sort order, and they can also remember your filtering (depending on a preference setting). Special types of collections also store the print/book/slideshow/web settings. When would you use collections? So when might you want to create a collection? 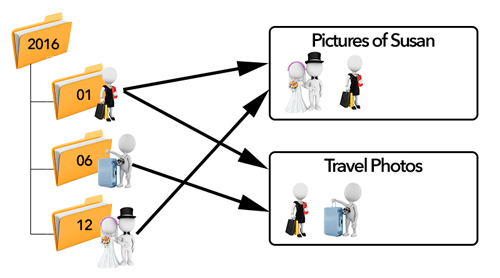 You prefer photos grouped by topic or genre. Perhaps you regularly view all of the photos of your grandchildren, or you want to group the photos from your vacations. You’re gathering your best photos for your portfolio. You’re working on a creative photo project over a long period of time. You want to share a collection of photos with friends and family using Lightroom Web. You want to sync photos to your phone or tablet. You’re gathering photos for output – perhaps as prints, books, slideshows or web galleries. 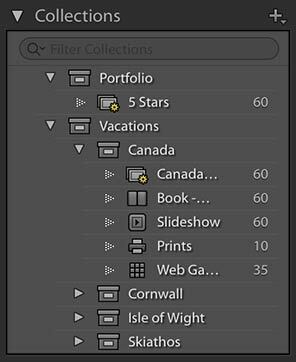 Collections are virtual, so they don’t exist outside of Lightroom. This means they can’t be viewed in other software, and they’re not written to XMP metadata stored with the files, so they’re difficult to transfer if you move to alternative asset management software in the future. These aren’t major disadvantages in most cases, but they are worth being aware of. But what if I have too many collections? Eventually you’ll end up with a lot of collections and the list can become a little unwieldy. Like folders, you can organise them into a hierarchy of Collection Sets. It’s a little different to a folder hierarchy, because collections can only usually contain photos and videos, whereas collection sets can contain collections or other collection sets but not the photos or videos themselves, but it still allows a degree of organization. That’s the theory of collections and collection sets… next week, we’ll put it into practice, learning how to create them. Well stated description of the pros/cons of collections. If you are adding Keywords to a whole bunch of photos from all over your folders (either because you didn’t add them in the first place or because you want to add more Keywords), make a Collection of all the photos too which you want to add Keywords. Go to that Collection, select all photos in out, and type in Keywords to your heart’s content. You can probably delete this Collection when you’re done. Excellent article. I wonder if you could help me. 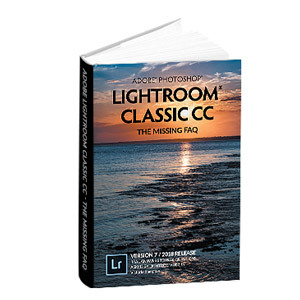 The usual procedure is to import photos to lightroom classic, create a collection and synced it with lightroom cc. However, I started by subscribing to lightroom cc with 1TB storage so i imported all my photos to lightroom cc, created albums. Now that I added to my subscription lightroom classic and synced all my photos. Now i have a situation where I have collections in my lightroom Classic but not folders. I tried to “locally save photos” in lightroom cc, then import them to lightroom classic, but the number of “all photos” are added to my photos i.e there is a duplication. I know the collection is virtual but this what happened. 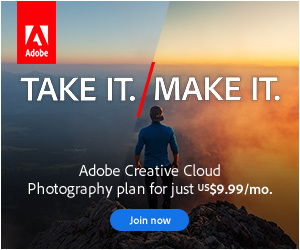 How can I add the photos already in the cloud to my folders? In Preferences dialog > Lightroom Sync tab, you can set a custom folder location for new photos to download directly into your chosen location. Ones that have already downloaded are probably showing in a Medhat’s iPhone (or similar) volume in the Folders panel, as if they’re on another hard drive. You can select those and drag them into a normal folder to move them into your normal folder structure.